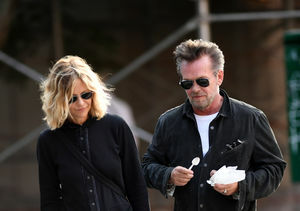 On Monday, actress Meg Ryan was spotted wearing a ring on that finger while doing some shopping in New York City. Last month, Ryan was also seen with the same ring while taking a romantic walk with Mellencamp in Tribeca. The pair called it quits in 2014 after three years of dating.